Get ready for the OLED (Organic Light Emitting Diode) TV - another major innovation from Sony. Having the model number: XEL-1, it is an industry first. Many industry experts predict that it will soon replace the LCD and plasma screen technologies. Coming back to the TV, the display panel is only 3 mm thick (or should I say thin) and weighs only 1.9 kg. Though I haven't tested it out yet, reviews say that the picture quality is amazing - unlike anything we have seen before. 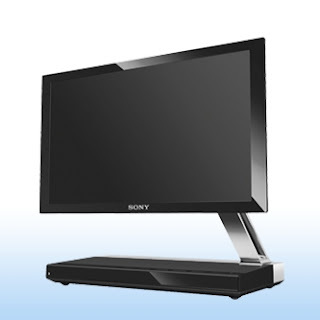 You can now buy the XEL-1 for $2,499.99 on the Sony Style online store. However, Engadget reports that it is available for a lower price at $1748 at Sam's club. OLED will be the next big thing. A computer with flexible screen is in the making. Soon, all advertisement boards will be OLED screen. i saved up money for one of these an most likley gona order one. From time to time I look gladly here past, in order to read the well written contributions as suggestions. Here I would like to leave a greeting from Thuringia in Germany! Its looking very nice specially design is more attractive. Thanks for sharing this post. Only 3mm! That's insane! Back in the day, you couldn't have anything less than around 500mm thick, and now look at us. Also, the name Organic Light Emitting Diode sounds amazing in itself.